The Pekin duck, like the Pekin Bantam chicken, originated from China and soon began to spread elsewhere in the world around the 1800s. These birds are like mini Runner Ducks with quite an upright stance but they have a slight chubby appearance. They are the perfect caricature of a duck with a bright yellow bill, orange shanks and toes and the ducklings are a bright yellow colour. The Pekins are quite common. 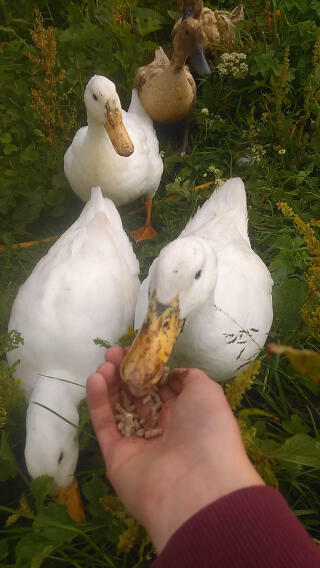 These ducks have become very popular to farm as they grow quite quickly, are hardy, highly fertile and one of the largest size ducks. 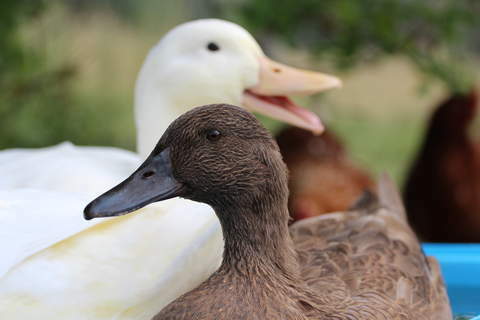 They are friendly calm ducks that are quite easy to train, however, they are one of the noisiest breeds to keep. 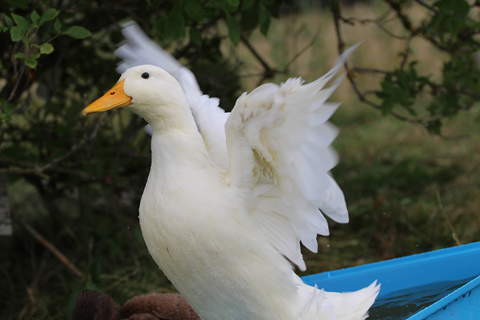 We've owned Pekins now for over a year having purchased 2 ducks and a drake aged 2 weeks. They have grown in to fine hearty birds and a tremendous friendly little things. They will always greet you and follow you around. 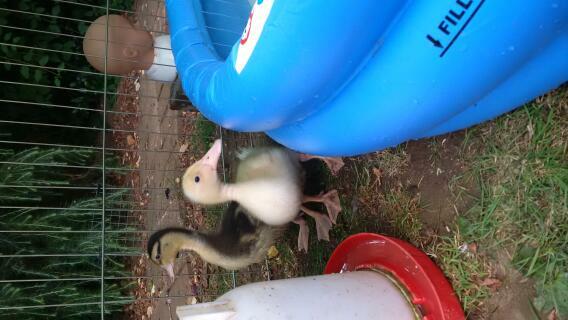 We've since had a duckling from them recently which is adorable. Highly recommended! 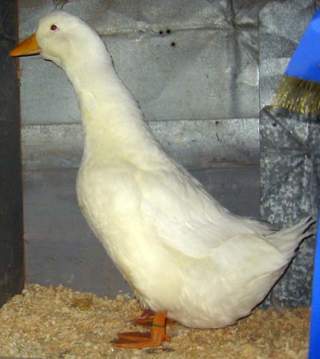 Pekin ducks are the most fantastic ducks. They are friendly, hardy, good egg layers (but not good brooders) and are very garden friendly i.e will eat the weeds. Get a pekin, you won't regret it!